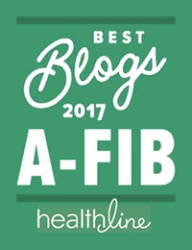 After publishing A-Fib.com for over a decade, I distilled all I’d learned to the essentials and presented it in an easy-to-read format. 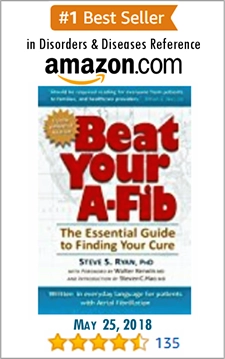 Beat Your A‑Fib: The Essential Guide to Finding Your Cure, by Steve S. Ryan, PhD, is written for the newly diagnosed A-Fib patient, and every A-Fib patient who wants to understand their illness but doesn’t want to wade through medical books and research journals. 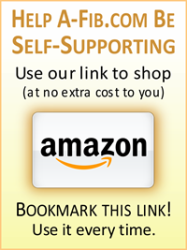 ♥ Encourages you to become your own healthcare advocate. 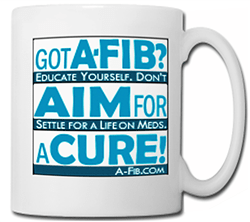 Beat Your A‑Fib is written for everyone coping with this disease including family, friends and colleagues of someone dealing with this life altering disease. 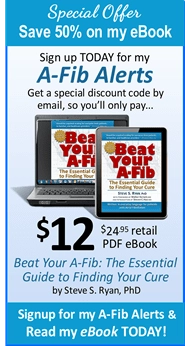 Beat Your A‑Fib is offered in both digital and print formats. You can be reading the digital (eBook) TODAY! For immediate download, choose the digital version for just $24.95 Or, order the 6” x 9” softcover book for just $32.95. at our Amazon.com book page. Read professional review by Nurse Jane (Jane-Alexandra Krehbiel) and other healthcare professionals. Discount code for eBook version: Sign-up for my A-Fib Alerts and I’ll email you a special discount code for 50% off my eBook version. Valid only through my book website (enter discount code at the online checkout). Don’t have your discount code yet? 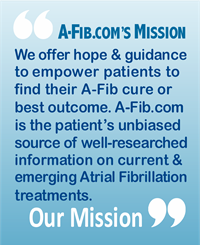 Learn more about my A-Fib Alerts and my special discount offer. Order yours TODAY! Visit my book site at BeatYourA-Fib.com for more information about my book, to see the Table of Contents and to place your order. OR ready NOW?